Revisiting: This light and tasty dish is my lazy version of raw lasagna and worth revisiting for those of you that may have missed it. No marinara sauce required, and I added a quick version of macadamia nut cheese. This was served with spiralized zucchini and marinated broccoli (can use mushrooms). Feel free to add additional toppings and seasonings to your liking. In blender mix nuts and just enough water to cover. Add fresh basil and continue to blend. Add water as necessary. If you don't have a high speed blender, you may need to add more water to mix. If too thin, filter mixture through a piece of cheese cloth or a nut milk bag or add more nuts to thicken. 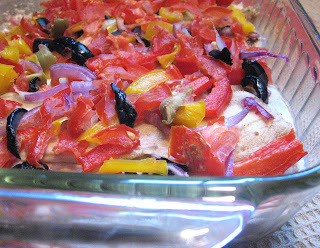 Top with red onions, red and yellow peppers, green and black olives, marinated mushrooms, and any other toppings you like. Season with salt, pepper, and oregano, and basil to taste. Place casserole dish on mesh dehydrator sheet at 115 degrees for 1 hour. Continue to dehydrate at 105 degrees for 3 hours. Suggestions: Serve with spiralized zucchini and marinated broccoli florets. Oh my goodness, how awesome is this? I love this recipe, thank you for posting. I was staring dumbly at the eggplant in the grocery store just the other day. It looked good but I couldn't think of anything creative to do with it. Enjoy! 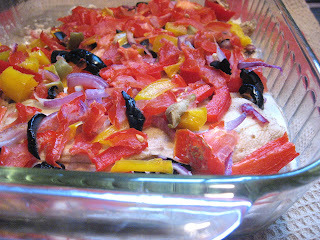 Click on the CATEGORY drop-down menu and look under Eggplant for more recipes!!! I think I'll try this! 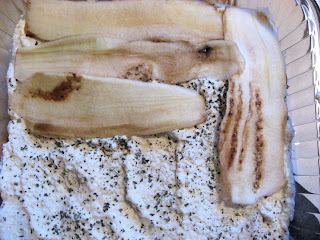 Though I'm wondering if I should cut the eggplant into squares first. I'm envisioning my eggplant strips sliding up and out when I try to serve a square of this. Did that happen or did it soften up enough to cut through it with a spatula or knife, to serve? 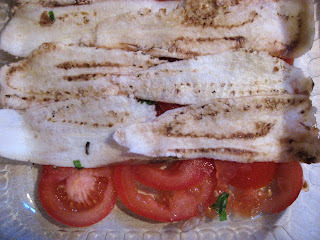 The slices are so thin and they soften in dehydrator...but i did have to use a good, sharp knife..cutting it in squares may be a great idea!!! Take pics!! !